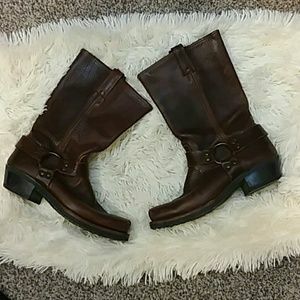 Frye womens brown leather boots size 9.5. Authentic Michael Kors Black purse. St John's Bay womens pea coat size large. 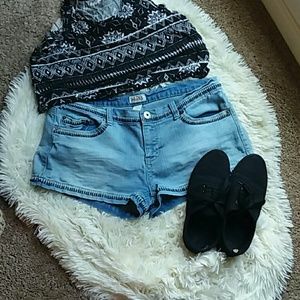 American Eagle flats size 9. 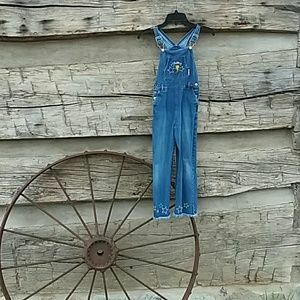 Wanted baby denim overalls size large. 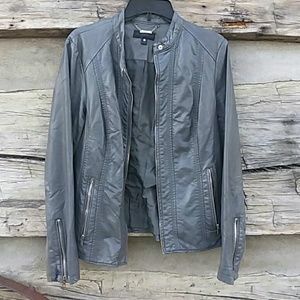 Womens light weight grey jacket size large. Energie blue and gray fleece pullover. Size large. IU long sleeve tee. Size medium. Liz Claiborne sweater size medium. 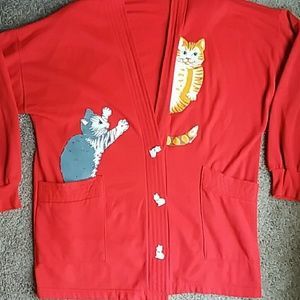 Vintage red cat cardigan size large. 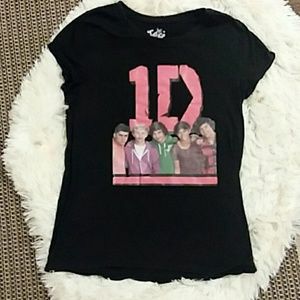 Justice One Direction black tee size 18. Faded Glory 2x grey sweatshirt. 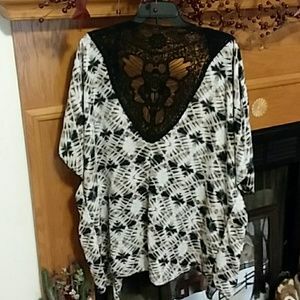 Carolyn Taylor sweater size medium. Arizona burgundy & grey sweater XXL. Tek Gear grey fleece top size medium. Lauren Conrad grey shark bite hem sweater M.
Old Navy size large long sleeve burgundy top. H&M blue and white sweater size large. 2 pairs of girls size 8 regular jeans. Hang Ten medium size plaid button up shirt. Tek Gear size medium purple fleece. Adorable baby jean jacket size large. Size: Size large. 13 inches armpit to armpit. 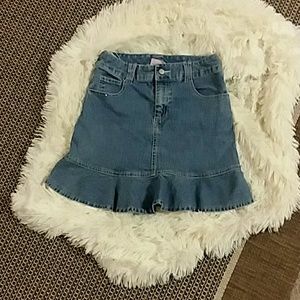 Girls cute denim skirt size 14/16. NWOT AB Studio dress size large. Floral Vest from the 1980's. Missing top button. Kathie Lee green printed dress size 10. Croft & Barrel plaid button up size small. Fifth Sun graphic tee size small. 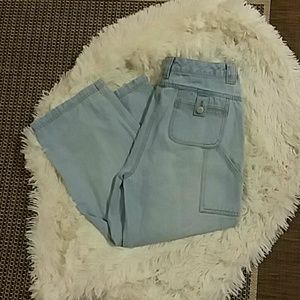 Sonoma denim capris size 12. Mudd denim shorts size 17. Lee size 10 army green short. Pretty floral printed button up top size 10. Kathie Lee black floral printed dress. 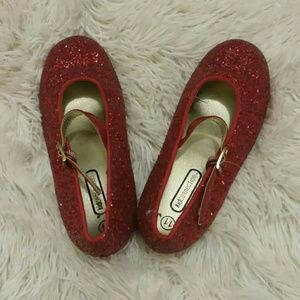 Size 8/10. 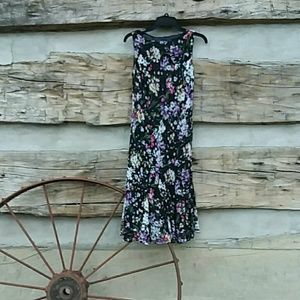 Chaps black floral printed dress size 8. My Lucky Jacket size large. Laura Scott white sandals size 9. 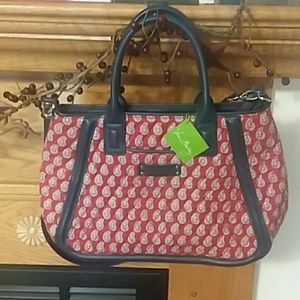 Ms. Millie red tote bag. 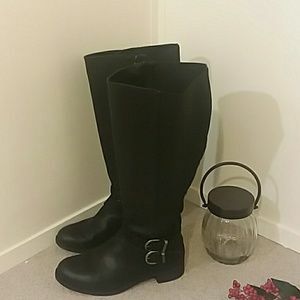 Torrid Wide CALF black boots size 9.